I posted a recipe for Mini Tart Shells with cream and berries. 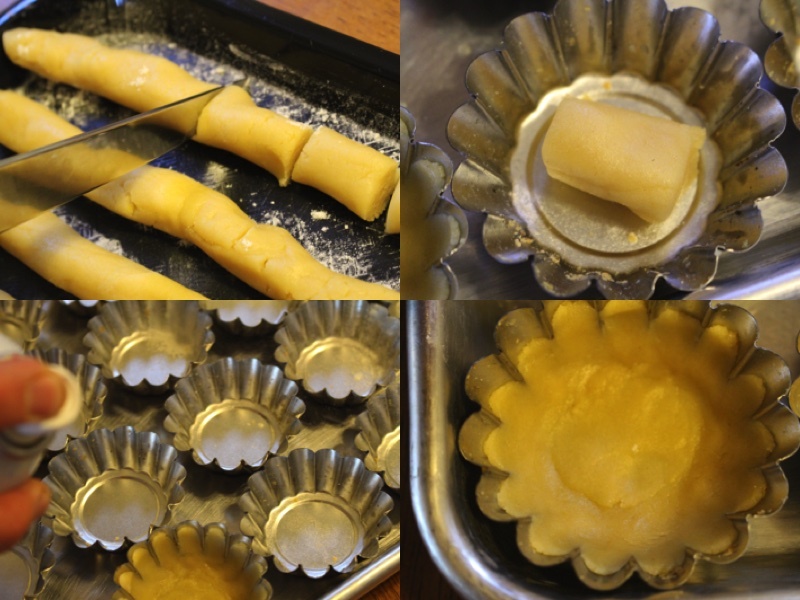 I would like to let you all know how to make these simple and easy to make tart shells (korzinochki). Ingredients: 1.) In a medium size bowl mix flour and butter (easily done with a fork ). Leave butter out at room temperature so it is soft and easy to mix. 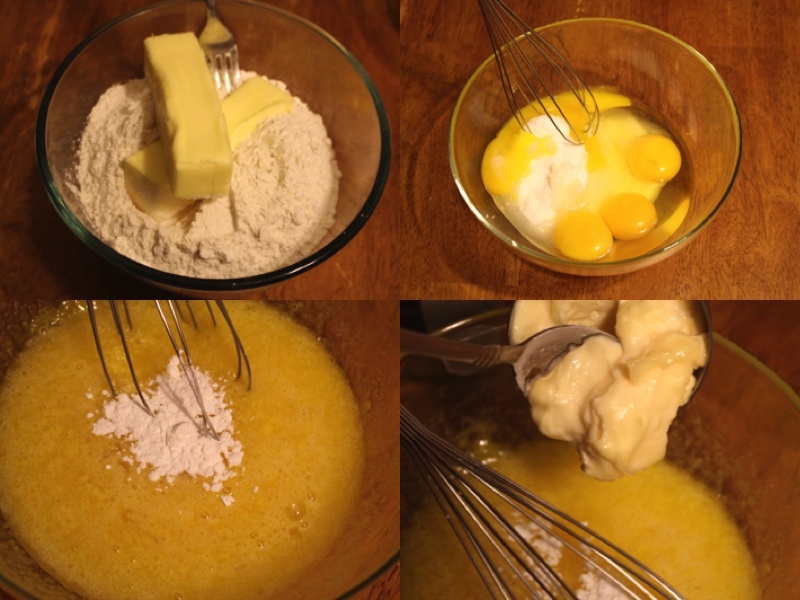 2) In another bowl mix sugar, eggs, egg yolks until the sugar will dissolve. 3) Then add baking powder and mayo and mix well. 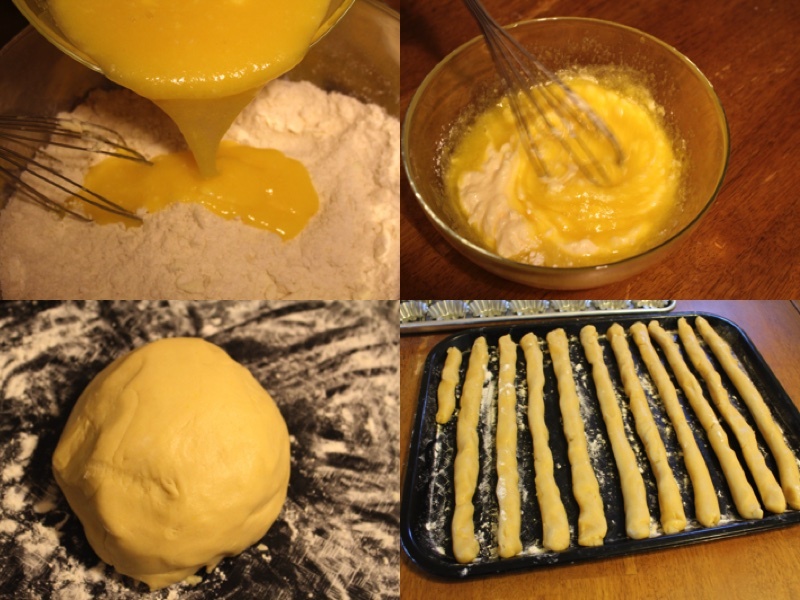 5) After mixing everything shape the dough into a ball shape, then divide into 12 long pieces and line them up parallel to each other. Then cut each long piece into 12 even pieces of dough. 7) Take each of the small pieces of dough and place into tart pans and press and spread out the dough to fit the pan. 8) Bake for about 15 minutes until tart shells turn a light golden color. 9) When they are light golden take them out of the oven and flip each of the tart shell pans upside down for it to cool completely. 10) Fill with cream and your choice of fruit . In a medium size bowl mix flour and butter (easily done with a fork ). Leave butter out at room temperature so it is soft and easy to mix. 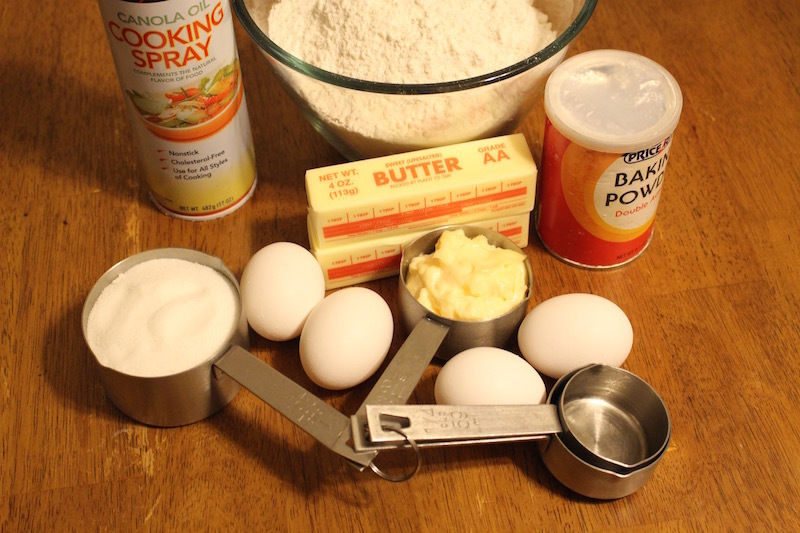 In another bowl mix sugar, eggs, egg yolks until the sugar will dissolve. Then add baking powder and mayo and mix well. Take each of the small pieces of dough and place into tart pans and press and spread out the dough to fit the pan. 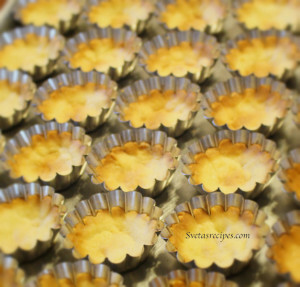 Bake for about 15 minutes until tart shells turn a light golden color. When they are light golden take them out of the oven and flip each of the tart shell pans upside down for it to cool completely. Fill with cream and your choice of fruit . Hi Sveta, i was wondering if i could make these 2 days ahead and then 1 day before the party put cream in?